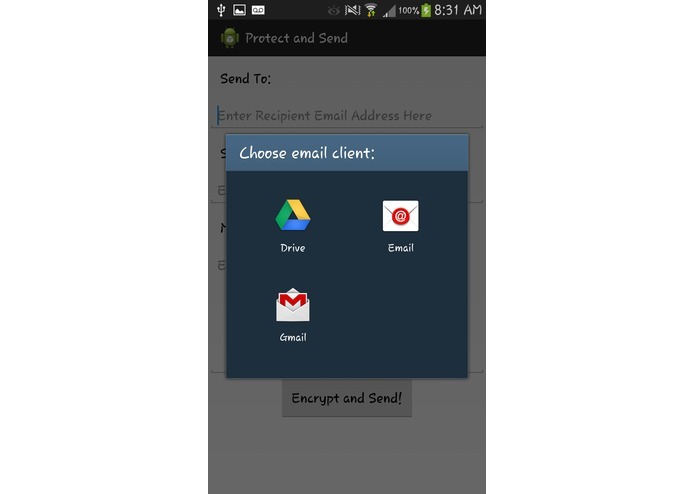 An Android App that is designated to encrypt any message from a sender and email the recipient notification of the encrypted message. 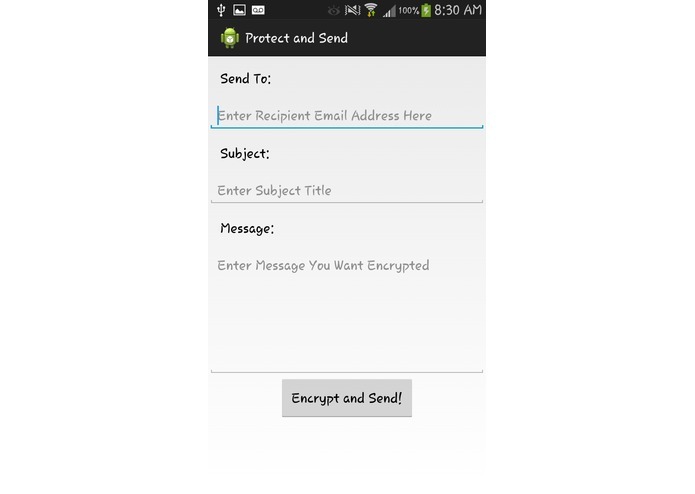 From which then the recipient must log back into his/her Protect And Send account in order to decrypt the message. 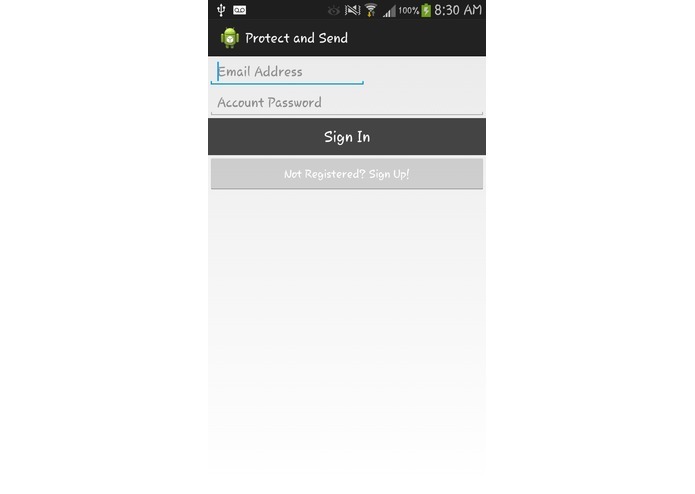 Ultimately, the recipient decrypts the message through answering his/her security question(s) he/she sets at sign-up of account. 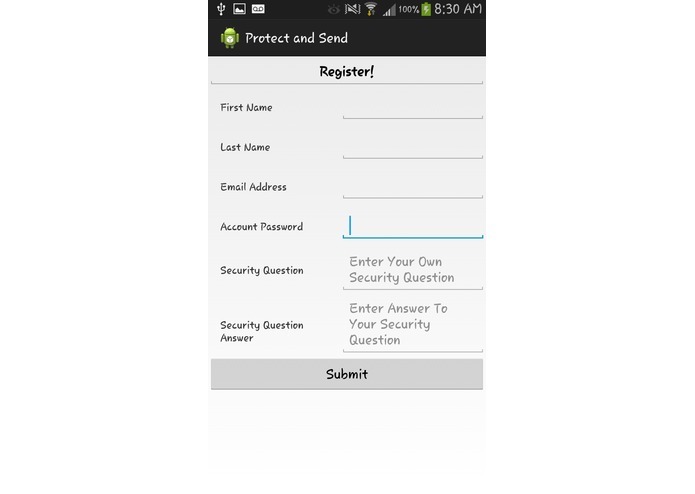 Protect And Send utilizes a double layer of security not only through file encryption but also personalized security questions - to make the process of sending secure confidential information to be fast, easy, and reliable.